Cash is king. Whether you have pennies in your bank account or you’ve amassed a net worth in the millions, the feeling of knowing you’ve paid for something in full is undeniable. However, there are times when financing your purchase makes more sense. 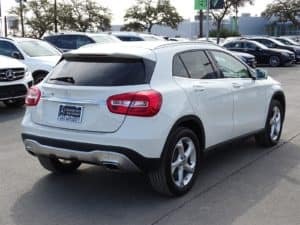 In the case of a large purchase, like when you buy a Mercedes-Benz car in San Antonio, TX, financing is often the best option for many reasons. If you’ve flashed cash for most of your prior purchases you own a great many toys, but have little credit built up. Building credit in our increasingly wireless, technical culture is vital. There may soon come a day when your credit score becomes analogous to your social security number in how you’re represented financially. This used to be as simple as paying off a credit card and leaving the account open with a zero balance, but the rules have become more complicated over time. However, when you finance a pre-owned Mercedes-Benz in San Antonio, TX, continually showing the credit reporting agencies your ability to make payments in a timely manner. If you have an upcoming business venture or are planning on applying for a sizable loan, increasing your standing with the credit bureau is a good idea. One of the best ways to do this is to purchase a used Mercedes-Benz in San Antonio, TX, on credit. Mercedes-Benz is a reputable company, producing high-end vehicles. Seeing their name on your excellent credit report will go a long way to help you meet your goals. Interest rates continue to be at all-time lows, especially for those who have excellent credit. In fact, there are many deals available where you see pre-owned Mercedes-Benz for sale in San Antonio, TX. You may qualify for low financing rates well within your price range. This type of loan typically also includes a clause ensuring no penalties if you choose to pay off the loan early. Essentially, this is a win-win for you if you’re trying to increase the credit line banks will offer you in the future. 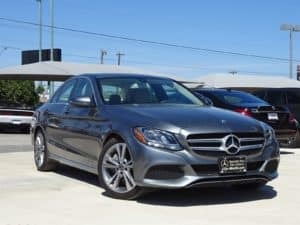 If you are shopping for a Mercedes-Benz for sale in San Antonio, TX, chances are good you’ll fall in love with this quality car and come back someday to treat yourself to a brand new one. When you finance the certified, pre-owned model, and pay it off on time, or early, it shows the financiers at Mercedes-Benz that you are a valued customer. When you do return to indulge in the new luxury car, they’ll be more than ready to loan to you again. When you’re ready to purchase a luxury vehicle, consider financing your purchase. You’ll grow your credit history and pave the way for your future endeavors.